Year 2009. My fifth wine, 100% syrah aged for 12 months in french barrel. Another one of ny great reds. At sight, the wine is deep-ruby with purplish-blue shades; when smelled, it is spicy with pepper, ink, gunpowder and coffe scents; black fruits ris eon a main mineral matrix, with a well marked and clearly defined cassis to end up with a balsamic note of thymus. 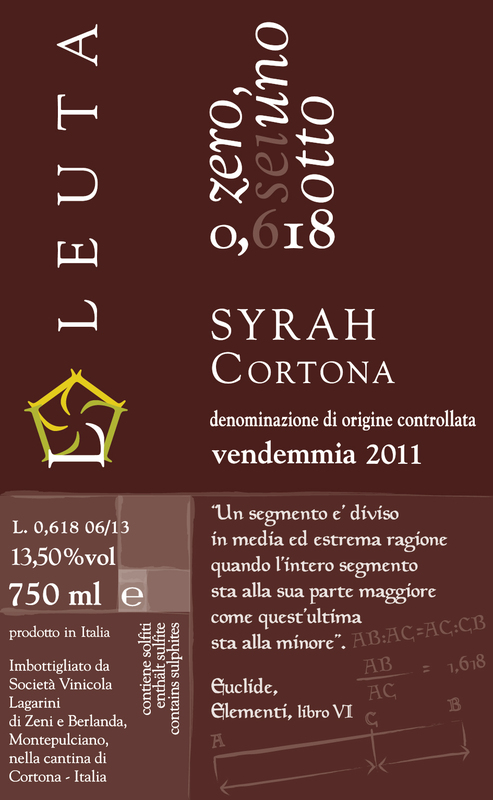 When tasted it feels dry and fresh, savoury, with medium body and good acidity. It recalls the notes of black berries and current in particular, combined with an excellent minerality. Well-balanced and elegant, it has a long ending with soft and smooth tannins and a persisting note of toasted almond and cherry, which gives a good persistance.